Can YOU Find the Monarch's Winter Home in Mexico? How Are Monarch Colonies Measured? Temperature and Elevation: Nearly Two Miles High! It's March! 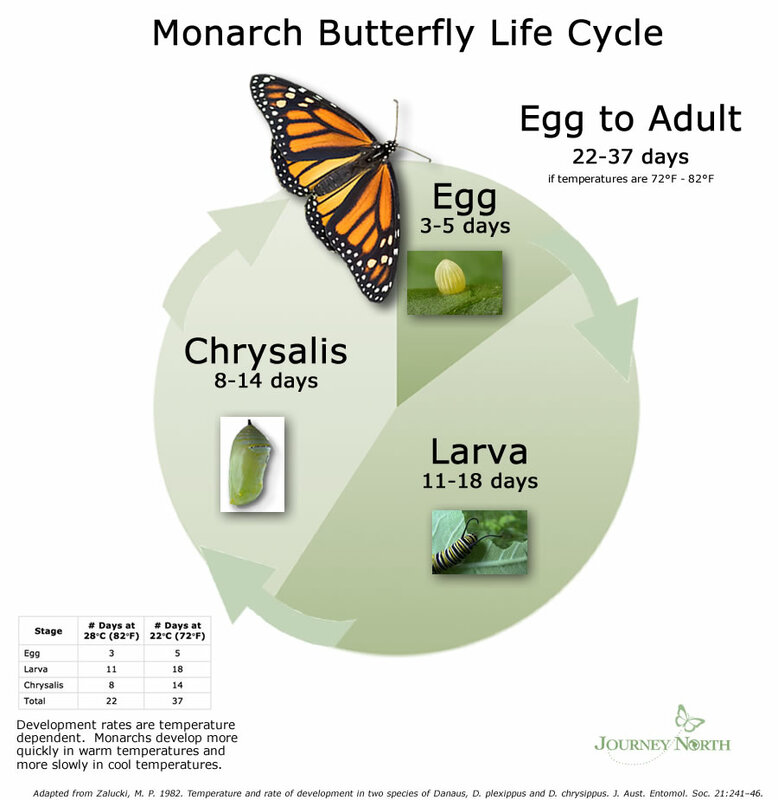 How are Monarchs and Seasons Changing? Exactly Where in Mexico Do the Monarchs Go for the Winter? Food at the Overwintering Sites? How Are These Monarchs Avoiding Predators? Close Quarters: How Many Butterflies on a Branch? How Many Paper Clips Bend a Branch the Way Monarchs Do? Why Are Those Butterflies Behaving so Strangely? What Do Two Pictures Tell You About Climate? It's All About the Forest: What Story Do the Pictures Tell? Who Owns the Monarch Sanctuaries? Ecological Footprint: Take the Quiz! How Many Pesos to Visit a Monarch Sanctuary? Ecotourism Safari: How Many Examples Can You Find?